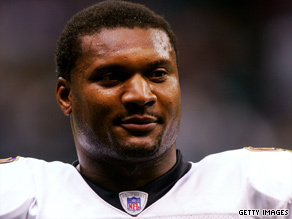 Former NFL quarterback Steve McNair was shot multiple times, including once in the head, at a Nashville, Tennessee, condominium, authorities said Saturday. Steve McNair, 36, spent 13 seasons in the NFL, the majority with the Tennessee Titans. Police said they found McNair and a woman identified as Sahel Kazemi shot to death after receiving a phone call about an injured person. McNair’s body was found seated on a living room sofa, authorities said. Kazemi sustained a gunshot wound to the head, authorities said. Police also said a pistol was found near her body. Next articleWhy Every Woman Wants Cheryl Cole’s Hair?